ProCon was established on the principal that providing high-quality professional craftsmanship and project management guarantees customer satisfaction. Procon was established in 1973 and has continually grown. Steve Underdahl has built his company based on the principles of hard work, honesty and doing the job right. He has put together a superior team that mirrors the values his company was started on. The staff at ProCon works hard to shape and sustain the stellar reputation they have developed over the past 36 years. The company is capable of handling all projects smaller projects upwards to $10 million; from minor/major remodeling to significant design/build projects. Our contracting services range from original construction, to repairs and maintenance. Project management and sub-contracting services are also available. "I'm very proud of the team at Procon. We can build anything and we build it with old-fashioned quality and artisan pride." 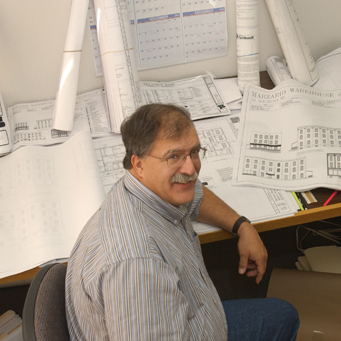 Steve Underdahl acquired his business and work ethics from hard-working Scandinavian parents. He started in the Construction Business in 1974. Steve's experience began with a degree in Construction Management and old fashioned hands on experience in the construction industry. In 1979 Steve assumed managemnt of Procon confident he could continue building a top-quality and well-respected construction company. He has succeeded. "Our entire team feels an ownership in this company, it's projects and the customer relationship." Tim also started working with Steve from the beginning of his career in 1999. Tim's experince began in the industry working mostly with wood framed construction. 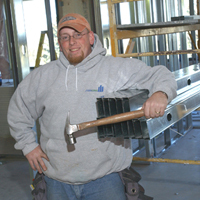 Tim rapidly moved to Project Manager status through his expertise and exemplary organizational & leadership skills. June 2010 - Excavation, utility relocation has started at SSM STEm Expansion. All Content © 2007 Procon, Inc.